Gallery with photo examples of balconies of different house styles and much more in this section to find some inspiration. 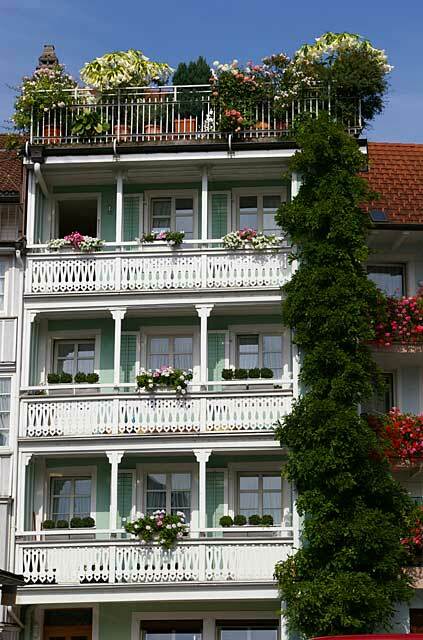 Example of a traditional old townhouse with a great looking balcony and many plants. This image was taken in Waldshut am Rhein, Germany. Photo examples of balconies of different house styles and much more in this section to find some inspiration.